Games of the hunting genre, often referred to as “Monster Hunter clones,” are still among those foreign video game curiosities that just can't seem to grab western audiences the way it has in Japan. One of the main reasons why it has not attained the same level of success in the west is that most hunting games have stubbornly clung onto dated conventions set by Monster Hunter back in 2004 and still carry on today. Well, it's 2017 and we need something more modern. 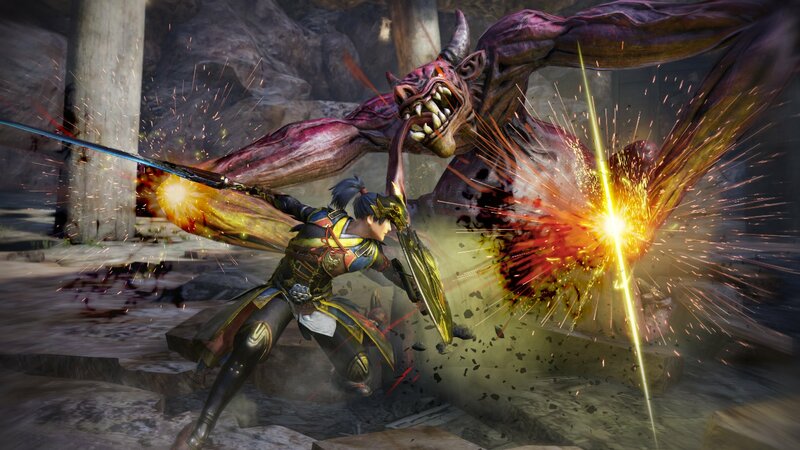 When the first Toukiden came out a few years ago, it provided a hunting game with a satisfying action combat experience from the creators of Dynasty Warriors series and featured a very Japanese flavor. 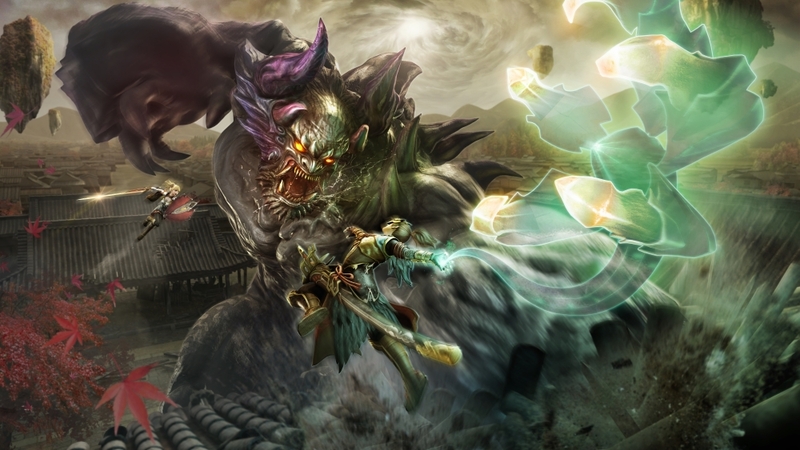 In the world of Toukiden 2, it has been two years since the first game and a decade since the "Awakening" when evil Oni (demon) monsters appeared to destroy mankind. The few humans left have only survived thanks to the Slayers, warriors who fight the Oni horde using Samurai weapons and magic. 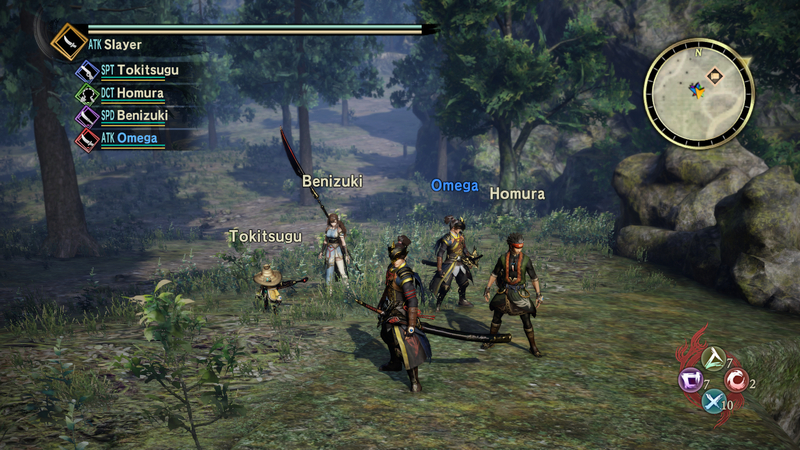 Those who missed out on the first Toukiden can easily just jump into this title without prior knowledge of the story. 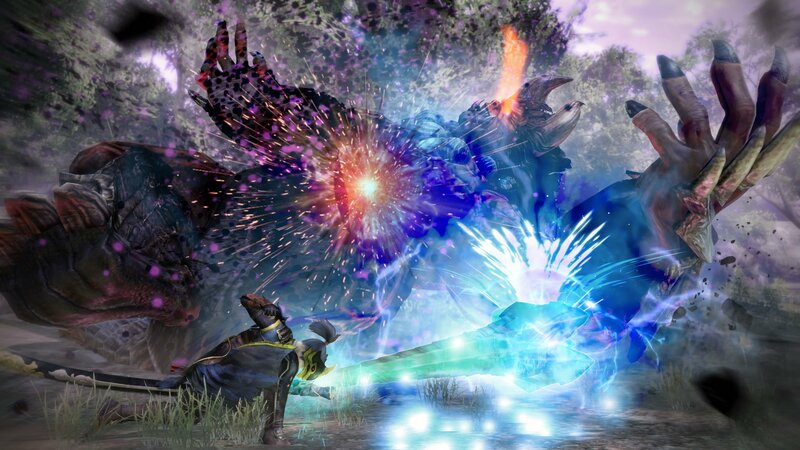 At its core, Toukiden 2 is still a hunting game where you go through the motions: fight monsters, gather items, use items to make better gear, and repeat. However, Omega Force returns again to give the genre a sorely needed improvement to the formula. Toukiden 2 features a new open world map for the single-player story mode, which is a first for the genre, for players to explore and hunt. Previous hunting games only offered small hubs that were more utilitarian wherein players selected missions from a menu. This open world features a small village that serves as a hub for a large map filled with varying terrain and locations. This new feature adds tremendously to the game’s narrative and world building, since many of these hunting games usually show so very little of the world you live in or are trying to save. The large open map's style leans more towards an MMORPG or Borderlands than an open world game like Skyrim with areas that are only filled with enemies to fight and items to gather. There are large sections of the map known as the “Otherworld” that are divided in different “Ages.” These Ages have themes tied into the different past eras of Japan. At first, these areas will be enshrouded by deadly poisonous miasma emitted by the Oni invasion. This serves as a time limit for exploring these areas and it’s an automatic game over when you are reach the maximum exposure level. These are easily cleared out as you go along the game to a negligible level. This new open world format breaks up the monotony of item gathering that plagued hunting games. Repeatedly playing the same missions over and over just to farm particular materials (even though the latest Monster Hunter has made that part easier for certain items) has now taken a backseat to the action. Players now have the option to just run outside the gates of the hub village and start heading towards the target item's location. This open concept also has fast travel points that can be found through exploring the map. The areas might get a little confusing due to areas looking very much the same and players might end up getting lost a lot and having to consult that map often. But once you learn the lay of the land, traversal is a bit easier but consulting the map is still required. It’s easier to navigate on the PS Vita version, which has a lot less environmental elements such as trees and rocks, which does not really detract from the experience since they are purely cosmetic. The open world also allows for different RPG-styled quests to be done across the map with the usual fetch quests, scavenger hunts, and "kill X type/amount of enemies." Some of these little quests have their own stories and give the world a bit more life. These quests can get stale due to the limited nature of the quests but there are a reasonable amount they never overstay their welcome. There are also collectibles and regenerating item pickup spots scattered across the map that add incentive for exploration. I’ve made the comparisons to Borderlands’ open world style in Toukiden 2 but the open world is strictly only available in single-player mode. Multiplayer is limited to the “Phase Missions” which is the traditional mission system found in hunting games and are conducted in small limited sectioned-off areas from the overworld map. This is one of the biggest disappointments in the game and the open world exploration could have been so much fun with other real people, something we can only hope to possibly see in the next iteration of Toukiden. 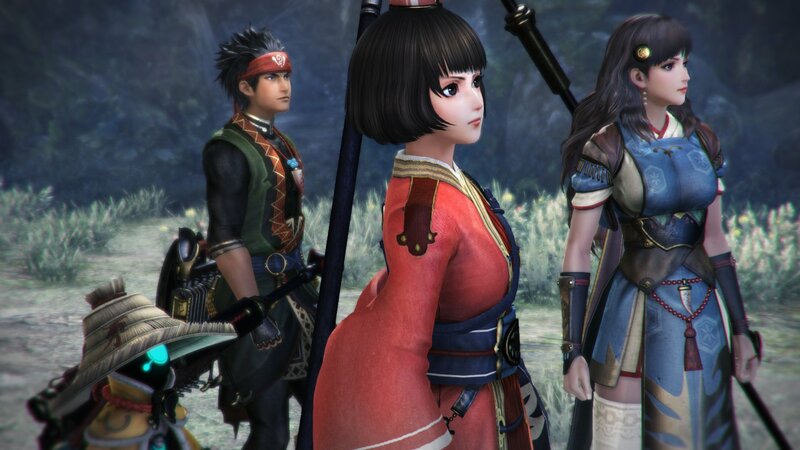 Toukiden 2 is one of those hunting games that actually has a story. It's very much helped by the new open world format that helps in the world building, especially showing how all the places connect together which gives a sense of a world. It takes place in Mahoroba village where the player character is thrust into all kinds of stuff such as internal politics and a bigger plot in the background. The story is decent but enough to get players going onto the next monster to take down. As with the hunting genre, there is no leveling up levels but the Toukiden series has something close to leveling up using Mitamas. These are the souls of fallen warriors, some are based on real-life Japanese historical figures, which can be equipped to provide different battle styles and boosts for your characters, and using them in battle makes them stronger. There are about 200 different Mitamas and equipping each will yield different skills and boosts for combat. Three Mitamas can be equipped in three different slots: Battle Skills, Evasion Skills, and Attack Skills. Mitamas will have different effects and battle styles depending on which slot they’re equipped on. There are about 11 different battle styles: ranging from the general ATK battle style that specializes in attacks, a more defensive battle style like DEF, to the support battle styles like HLG, which focuses on healing. There are all kinds to suit different roles and styles for the right situation. 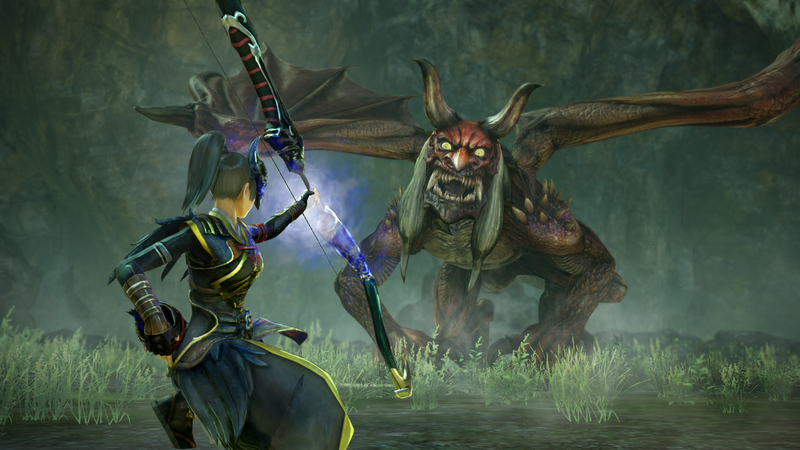 There are over 11 weapons in Toukiden 2 providing different styles of play: from the well-rounded Sword to fast slashing dual Knives to more complicated weapons such as the bow and the rifle. You can somewhat mash your way with some weapons like in the Dynasty Warriors games but some weapons require a good amount of learning and a lot timing. Weapons such as the rifle and bow do not work like they do in shooting games, so you have to time your shots well and learn the particular way the weapons function as well as to effectively use it in combat. 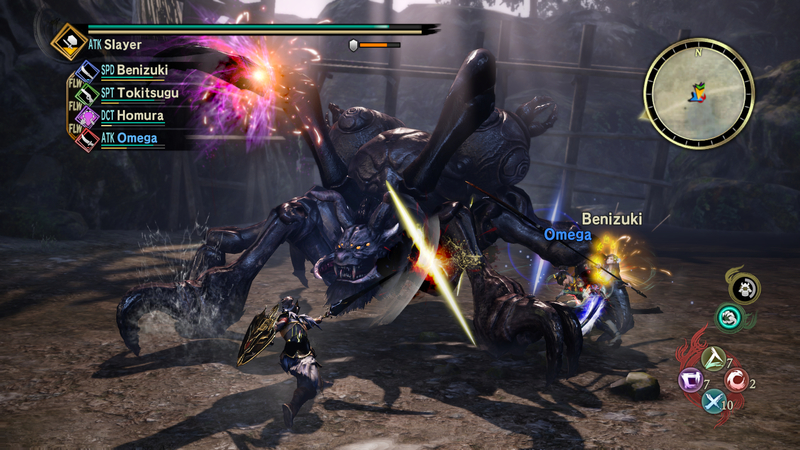 A new feature in Toukiden 2 are Joint Operations, which are points in the open world map where players can run into other online connected human player's AI controlled avatars engaged in combat with a mob of enemies. Once the enemy mob is cleared, the AI controlled avatar will join as a fifth party member which makes fighting large enemies easier. If the character was from a human player, a data exchange will occur. If a player is offline, a generic stock character will be in the Joint Operation. Another new addition in Toukiden 2 is the Demon Hand and functions similarly to the grappling hook-like glowing wrist thing called Thorn from Freedom Wars. This adds vertical movement to the combat such as pulling your character up towards tall enemies to attack higher parts of the Oni. However, it doesn’t have that bit in Freedom Wars where you can latch onto the enemy and directly cut off parts. The Demon Hand also has different abilities such as pulling down large enemies and a very useful special move that cuts off an Oni part in one hit. It’s also used in the exploration of the overworld which can be useful for the occasional high ledge and crossing over gaps. New smaller features allow players to send out a little upgrade-able helper robot that gathers items in real time while in the game. There are also magical foxes called Tenkos that can raised and equipped with Mitamas that can help in combat. Graphically, the PlayStation 4 version looks slightly better than an early cross-generation game because it is just that -- Toukiden 2 is also on PlayStation 3 (only in Japan) and PlayStation Vita. The environments are a bit plain but the character models are great, which is good because those are what you’re gonna be looking at a lot. The performance on PlayStation 4 is great with a very fluid framerate, while the Vita version may dip in the mid 20s from time to time but is still very playable. Like an MMORPG, there’s a bit of that jank in the in-game cutscenes. The stories are delivered in a canned manner, due to the game’s limited set number of character animations. While these seem like primitive in a game that elevates the genre, it gets the job done. The pre-rendered cinematics do look well-made when they pop up from time to time. The voice acting is great, with a Japanese cast featuring a lot of seasoned voice actors that have been in many anime and video games. Toukiden 2 could have used an English dub or more subtitles since there is rather charming random in-game chatter from party members in Japanese that I somewhat understand with my very limited beginner Japanese language skills. Like other similar games, it still takes a while to get going but there’s enough new stuff to see and do that can keep players busy while the game slowly opens itself up. There’s a lot in Toukiden 2 -- it is the most accessible and most modern entry in the genre so far. It’s the perfect gateway to hunting games that will surely attract newcomers and please fans of the genre.